Goldfish Egg Separator - What's Goin' On In The Kitchen? 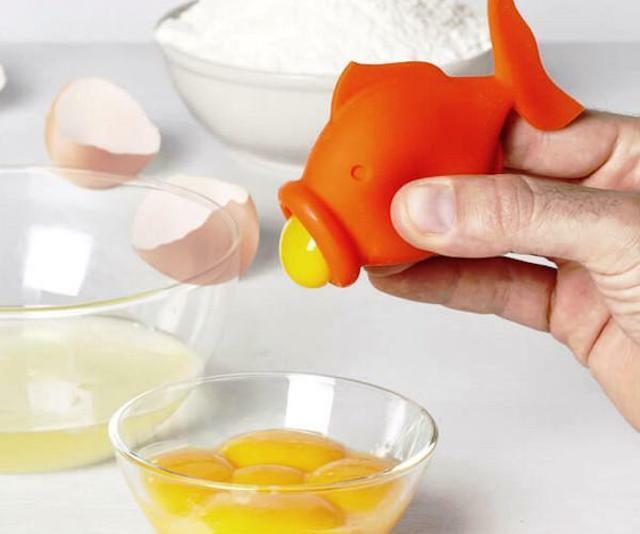 This Goldfish Egg Separator is the perfect gadget for quickly and easily separating your egg yolks and whites. Separating these can be an annoyingly messy and time consuming job. Just one squeeze from this fishy friend will do the job for you in seconds, with no mess or fuss. Get this little fish in your kitchen today and save yourself some time and effort!